Lucy is on tour with THIS IS THE FUNERAL OF YOUR LIFE by Louise White, previously staged at Project Arts Centre as part of the Dublin Fringe Festival. She will soon film a new Scandinavian crime drama COLD COURAGE directed by Agneta Fagerstrom Olsson for Luminoir Oy. Lucy recently appeared as Gráinne in Stuart Carolan’s new crime drama TAKEN DOWN directed David Caffrey for Octogan. 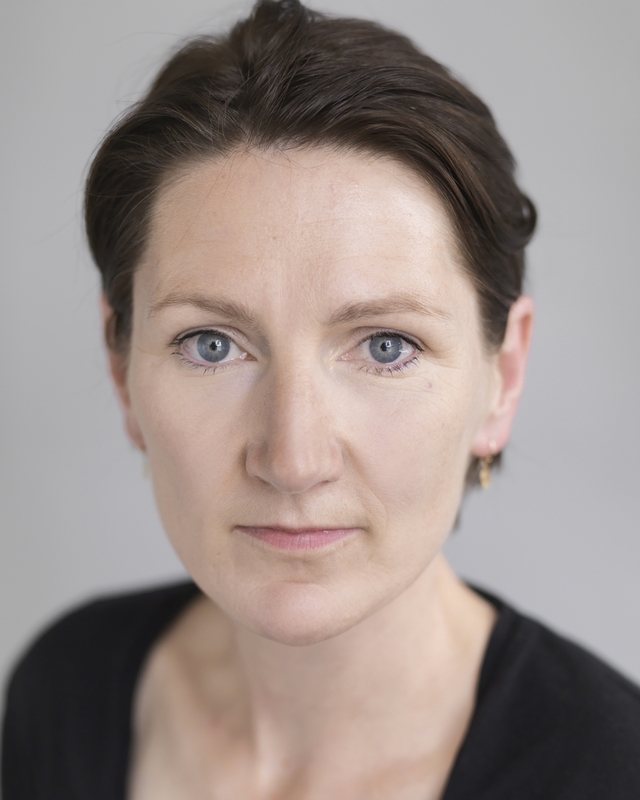 Recent television credits include the role of Dr Sarah Molloy in SKY’s medical drama CRITICAL directed by Philippa Langdale for Hat Trick Productions, OMO Brentiss in Jed Mercurio’s LINE OF DUTY 4 directed John Strickland for the BBC and Dr Ford in short horror HOLIDAYS directed by Gary Shore for ArtCastle Ltd. Further recent screen work includes the role of Mrs Evans in THE FRANKENSTEIN CHRONICLES directed by Benjamin Ross for ITV Encore, THE JOURNEY directed by Nick Hamm (ITV) and Superintendent Preece in THE WIDOWER directed by Paul Whittington for ITV. Previous film and television work includes UNDENIABLE directed by John Strickland (ITV), LINE OF DUTY directed by Daniel Nettheim (BBC2), LOVING MISS HATTO directed by Aisling Walsh for the BBC, MY BOY JACK directed by Brian Kirk and starring Daniel Radcliffe for ITV, MURPHY’S LAW directed by Colm McCarthy (BBC), THE LEAGUE OF GENTLEMEN’S APOCALYPSE directed by Steve Bendelack for Tiger Aspect Films, NEVERLAND directed by Nick Willing for SKY Movies, critically acclaimed OMAGH directed by Pete Travis for Channel 4 Films, FAIR CITY (RTÉ) and comedy series BACHELORS WALK directed by John Carney and Tom Hall for RTÉ. Theatre work includes ALL HELL LAY BENEATH (Sugarglass Theatre Company), ABIGAIL’S PARTY (Players Theatre), ON FAMINE ROAD (Soho Theatre), UNDER THE SUN AND MOON (Latchmere Theatre), ZERO POSITIVE (Finborough Theatre) and THE ISLAND (The Etcetera Theatre).